Mix and Chic: Home tour- A designer's eclectic condo in Toronto! Home tour- A designer's eclectic condo in Toronto! 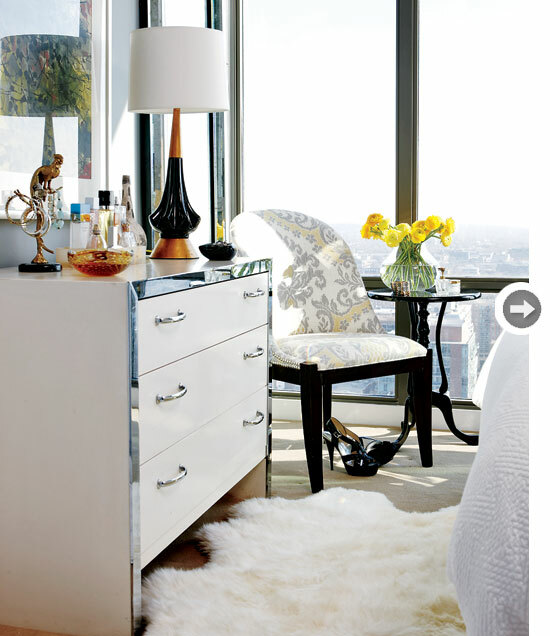 When designer Lindsay Mens Craig decorated her 800-square foot condo in downtown Toronto, she injected her space with lots of patterns, textures and color. The results? 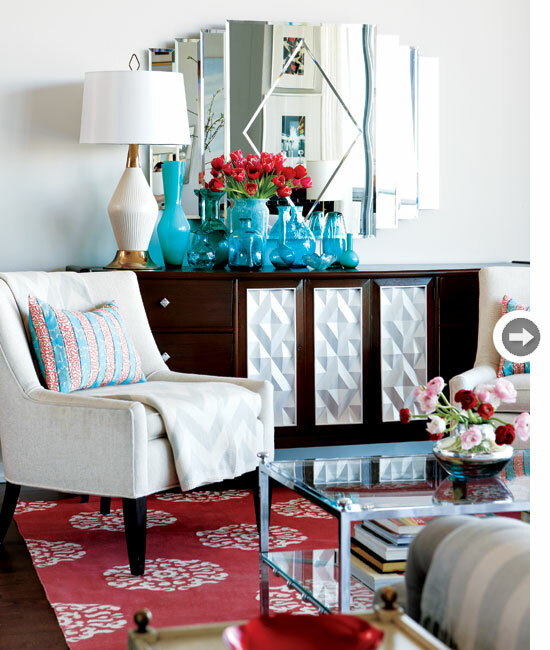 A stylish, eclectic and colorful condo she called home. Let's check out her fabulous pad, shall we? Isn't Lindsay's home gorgeous? Her home feels lively, collected and chic, a true feast for the eyes with interesting visual dynamics, don't you think? Do you enjoy touring this home as much as I do? What are your thoughts? A dream condo in the sky! Always been one of my favorites! I just love that rug in the first photo! Beautiful! Thanks for sharing. I loved when they did Lindsay's first out-of-college apartment on Design Inc and now she's in a big grown up pad. It is beautiful! SO gorgeous! Love the grey + white striped combo on the wall! Plus with the addition of that painting its so beautiful! what a beautiful home! I love the gray and white stipe combo too!!!!! I love the desk in the fifth photo and also the bedroom wich seems to have a spectacular view! Very glam. 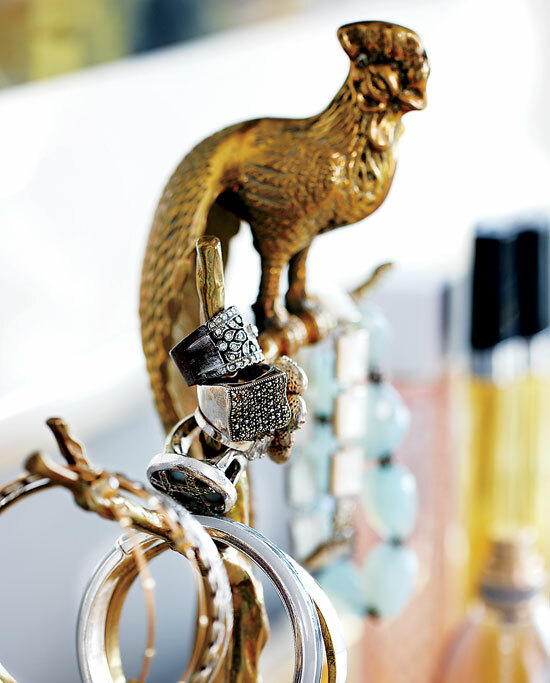 Especially the dressing table arrangement...and the gold phone...what a hoot! It's gorgeous.